Shortly after their creation, drones have rapidly transformed from being a geeky hobby to a cultural phenomenon! Drone technology has become one of the most versatile on the market. A drone helicopter with a camera is convenient, modern, and incredibly customizable. While drones’ popularity is on the rise, it’s important to note that they still come with a hefty price tag, which currently limits their market to enthusiasts, professionals, or videographers willing to pay for them. Drones come at a high price, but the companies’ desire to remain on the forefront of modern technology make the unmanned aerial vehicle (UAV) market filled with affordable camera drones. To help you navigate this constantly changing landscape of consumer UAV’s, we have compiled a list of the best drones with camera available today. Remote drones with camera are dominating hi-tech gadgets markets today, which has forced companies to continually produce updated models to match the competition. The resulting number of available drones has developed into a market with a vast range of price points and technical features. We will highlight the most important tips for interested buyers that will help you make an easier and better choice when shopping for a mini drones camera. The first mini drone with camera we will review is the DJI Mavic Pro. This drone has gained popularity for its top-notch quality, but really took off after gaining an endorsement from Casey Neistat. Neistat has established himself as a prominent figure in social media as a filmmaker, vlogger, and YouTube star. He has praised the DJI Mavic Pro as one of the best drones with cameras he’s ever owned. Da-Jiang Innovations Science and Technology (DJI) is a Chinese company specializing in manufacturing top-quality drones and is often recognized for their Phantom line-up, which is a more professional model. 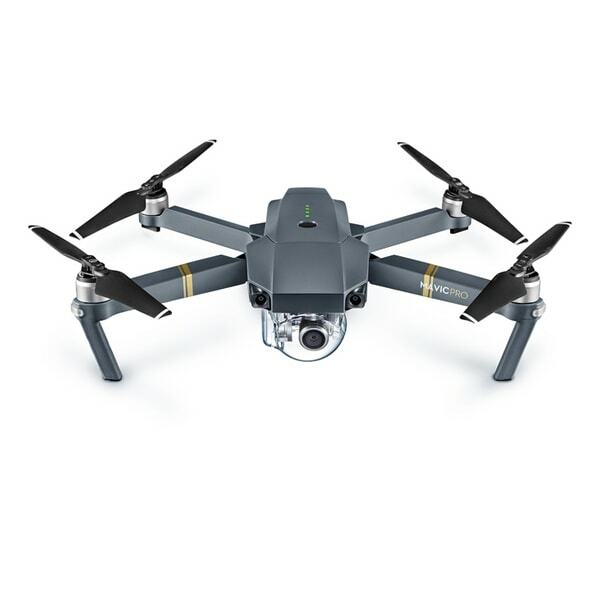 While this is a more budget-friendly option to their Phantom and Inspire line-ups, the company prides itself on high quality at every price level, which is evident in the Mavic series. One important feature of the DJI Mavic Pro is its compactness. While it might seem counterintuitive for a four-legged flying camera to be compact, the DJI Mavic Pro does so by using a folding mechanism that allow it to shrink down to the size of a small water bottle, making it convenient to travel around with. All of this makes it land as our #1 drone pick. Apart from its unmatchable convenience, the DJI Mavic Pro comes equipped with the OcuSync transmission system. This unique system gives this small camera drone a transmission range of up to 4.3 miles (7km) and can reach speeds of up to 40 mph (64 km/h). This allows you to capture virtually any shot with an exciting, but easily maneuverable experience. The DJI Mavic Pro comes with special features such as ActiveTrack and TapFly. These features ensure image stabilization, optimum 4k clarity, and smooth shooting to produce high-quality photos and videos that don’t require extensive editing. The sensor on the DJI Mavic Pro allows it to “know” when objects pose a potential collision threat and will redirect the camera drone to avoid wreckage. This sensory technology offers peace of mind for the user on their investment and naturally increases the reliability of this model. The DJI Mavic Pro also boasts innovative vision positioning technology that uses GPS and GLONASS, allowing you to control your HD camera drone’s precise location within its transmission range, regardless of whether you are indoors or outdoors. Wi-Fi technology makes the DJI Mavic Pro even more versatile as it can give you control of the device through your smartphone. The next flying drone with camera on our list, the GoPro Karma, may come as a surprise to those who wouldn’t typically associate the company with drones. However, their recent launch does not disappoint even the savviest drone users. GoPro is an already well-established company dominating the action camera market. Their cameras are incredibly small, but this doesn’t stop them from recording 4k videos and capturing high-resolution images with ease. GoPros also boast unsurpassed versatility with their lightweight frames and ability to mount to almost anything via their wide selection of accessories. Despite attempts by other companies to compete, GoPro consistently smokes their opponents in overall quality and durability of actions cameras. While this review is based on early prototypes of GoPro’s introductory drone model, our reviews indicate that if there’s any drone to rival the DJI Mavic Pro, it’s the GoPro Karma. Much like the DJI Mavic Pro and other GoPro products, the GoPro Karma prides itself on its portability and convenience. It features a compactable body with “wings” that fold into it, making it extremely portable and easy to carry from location to location. 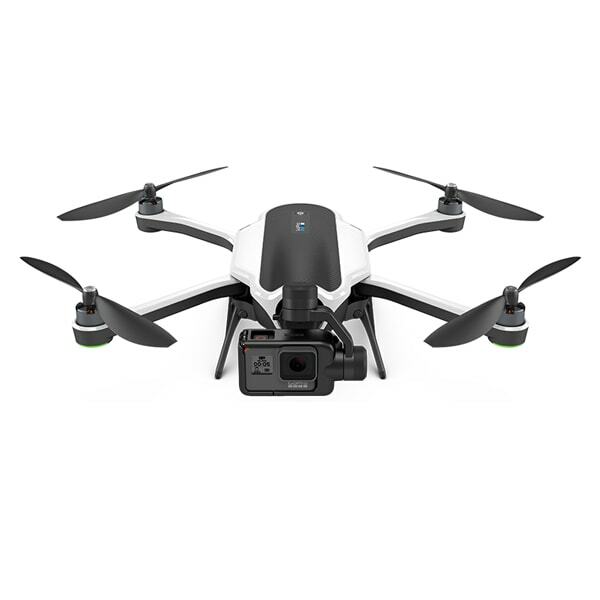 The GoPro Karma also boasts an interface that is easy to operate for both experienced flyers and newcomers with clear, concise control schemes and an intuitive systematic flow. For direct smartphone connectivity, the GoPro Karma can sync with the GoPro Passenger app that lets users view and control the drone right from their smart device. One cool thing the GoPro Karma possesses that other models lack is the ability to support a range of other GoPro cameras in addition to its built-in camera. This allows you to connect models such as the HERO4, HERO5 Black, and HERO Session, providing you with a more customizable experience. The GoPro Karma also ships with a GoPro Karma grip to ensure you’re ready to capture smooth, seamless drone footage from the moment it arrives. With drone technology being so new, its market is not yet established and even some of the top models we list here have huge caveats. For the DJI Phantom 4, that caveat is size. This small camera drone is undeniably the most polished and professional camera drone available, but it completely lacks versatility and convenience with its bulky body, which is a huge deterrent for many drone consumers. As another model endorsed by Casey Neistat, this drone has gained popularity in the market for its incredible performance and top-notch video quality. Neistat himself trusts this model’s ability greatly, and claims to carry around seven Phantom 4’s with him at any given time. Neistat’s support of the DJI Phantom 4 should indicate how fantastic it truly is. The quality of the footage speaks for itself and is the prime reason this drone retains its popularity despite its size. However, if size is not a major factor in your purchasing decision, we’ll show you other reasons as to why the DJI Phantom 4 is unparalleled in drone technology. Our testing process confirmed that the raving reviews by Neistat and others on the DJI Phantom 4 are true. It’s proved to be one of the best drones with camera on the market, excelling in functionality, footage quality and battery life. It also possesses some of the newest features available in drone technology. One stellar aspect of the DJI Phantom 4 is its homing technology. This allows the drone to take off and return without manual control via GPS signaling. Not only does this show the sheer intelligence and thoughtful design put into making the DJI Phantom 4, but it also adds to the convenience factor. Like the GoPro Karma, the DJI Phantom 4 can operate through an app on smart devices, further adding to the drone’s convenience. With the app, you can monitor this smallest drone with HD camera, allowing you to control it with ease. The camera on the DJI Phantom 4 is built-to-last with professional quality lenses, which gives it the ability to capture video in 4K at 30 fps. In addition, the camera also supports 12 megapixels still photos with its impressive f/2.8 lens. This lens in particular produces a wide frame image that produces especially brilliant landscapes. The DJI Phantom 4 is also equipped with gimbal stabilization technology. GST stabilizes the drone helicopter with camera to prevent choppy images and video when both hovering and flying, ensuring that you never compromise your footage during movement. Users can use the included DJI director software that has a built-in video editor to edit their video as they please. The editor lets you add aesthetic features, such as text and music, as well as modify the raw footage. One limitation of the DJI Phantom 4 is its limited color availability. While the white color is clean and sharp, it may deter some potential buyers who were looking for a darker color. Additionally, the DJI Phantom 4’s quality does come at the cost of a low battery life and a high price tag. So, with its impressive features, top-notch footage, and limited color availability, is the DJI Phantom 4 worth its hefty price? Our answer is YES! The limitations of the DJI Phantom 4 are far inferior to the superiority of its features and the footage it produces. It is one of the best drone cameras we’ve ever tested, and allows expert flyers to experiment with a high-end camera, as well as allowing newbies the opportunity to learn and grow. DJI has built a legacy in the drone world, and its Phantom 4 model surely lives up to it. Remember, our complaints about the DJI Phantom 4 are completely subjective, and if they aren’t a problem for you, then this is the drone for you. The next drone with a camera on our list is, not surprisingly, another DJI drone: the DJI T600 Inspire 1. This model lands a spot on our list because it’s the only drone we’ve come across that offers compatibility with two controllers simultaneously, allowing it to be controlled from two different areas. Like many of the other models we feature, the DJI T600 Inspire 1 also records video in 4k, producing videos that are brimming with details, colors, and clarity. It rivals its big brother, the DJI Phantom 4, in quality, but comes with a tougher style. Let’s take a closer look into why the DJI T600 Inspire 1 is worth investing in and what this amazing drone contributes to the drone market. First and foremost, there’s no denying that the DJI T600 Inspire 1 comes packed with incredible features and a solid camera. However, this quality comes at an expensive (but not unjustifiable) cost. As previously mentioned, the DJI T600 Inspire 1 really challenges its more professional predecessor, the DJI Phantom 4. In fact, some consumers may be more inclined to purchase the DJI T600 Inspire 1 for its smaller and more convenient size. The DJI T600 Inspire 1 kit includes a ready-to-fly system, which means you’re ready to fly your drone the minute it arrives. Setup only requires a connection to your smart device. Once that’s complete, you’re then ready to start recording stunning HD photos and videos. 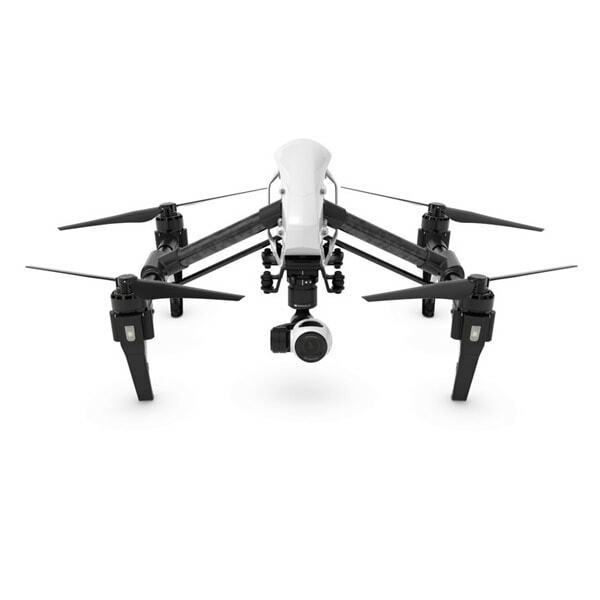 One awesome feature about the DJI T600 Inspire 1 is the durability of its body. This model’s arms are composed of strong fibers that promote in-flight stabilization while remaining discrete, preventing them from interfering with your footage. It’s also easy to navigate once it’s up and flying. To stay competitive in the drone market, the attached camera has to be top-of-the-line. DJI, the leader in the industry, has recognized this and have equipped all of their models, including the DJI T600 Inspire 1, with high-quality cameras. The DJI T600 Inspire 1 has the ability to shoot 4K videos, as well as crystal clear 12 megapixels still photos, making it an attractive model for both videographers and photographers. For longevity purposes, the DJI T600 Inspire 1 includes an interchangeable system where users can easily remove the gimbal and camera system for any future upgrade. This system also allows you to carry the drone without the camera attached. Advancements in smartphone technology allow the DJI T600 Inspire 1 to be controlled through an app that streams live footage straight from the rc drone with camera to your device. You then have the option to save the footage directly on your phone in 720p, making this model ideal for people who prioritize convenience. Both professionals and newbies alike will love how easy it is to set up the DJI T600 Inspire 1. While the DJI Inspire 1 is loaded with innovative features, its battery life is terrible. In our tests, the drone only lasted 18 minutes after a full charge. Additionally, DJI accessories are expensive, which can be a huge problem for an already expensive model. DJI’s Phantom series of drones have established themselves as the benchmark for high-end consumer drones based on their high-quality drones and cameras. While they typically target consumers who are looking for a recreational drone, the DJI Phantoms can be just as alluring for professionals. As aforementioned, Casey Neistat, a YouTube and filmmaker extraordinaire, often relies heavily on his DJI Phantom 4. In this section, we’ll take a look at the Phantom 4’s younger brother, the DJI Phantom 3 Professional. Compared to the DJI Phantom 4, not much has changed aesthetically. The body is built with the same quality and overall design, but the DJI Phantom 3 Professional does feature gold accents that complement the sleekness of its design. After extensive testing of the DJI Phantom 3 Professional, we found some impressive elements (despite our skepticism) and surprisingly only a few minor issues. First, let’s look at the positives. 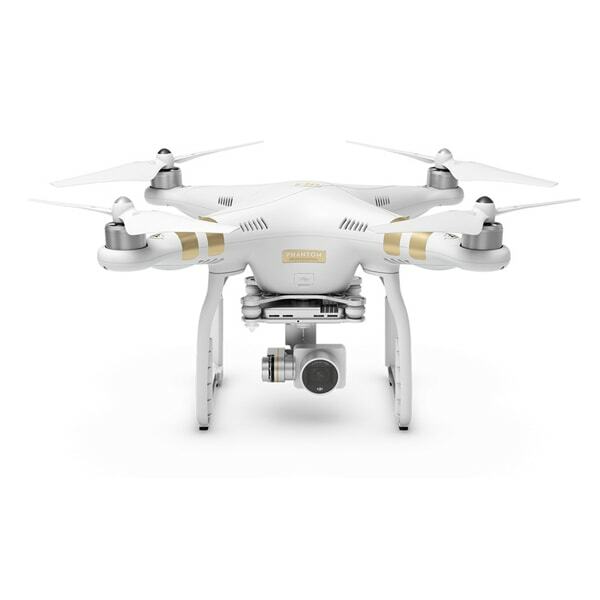 The DJI Phantom 3 Professional boasts an astounding ease-of-operation, from setup to flying. This feature is especially helpful for beginners, but can also be appreciated by professionals. Additionally, like most remote control drones with HD camera, the DJI Phantom 3 Professional is equipped with a top-of-the-line camera that’s capable of recording crisp and clear 4k videos. 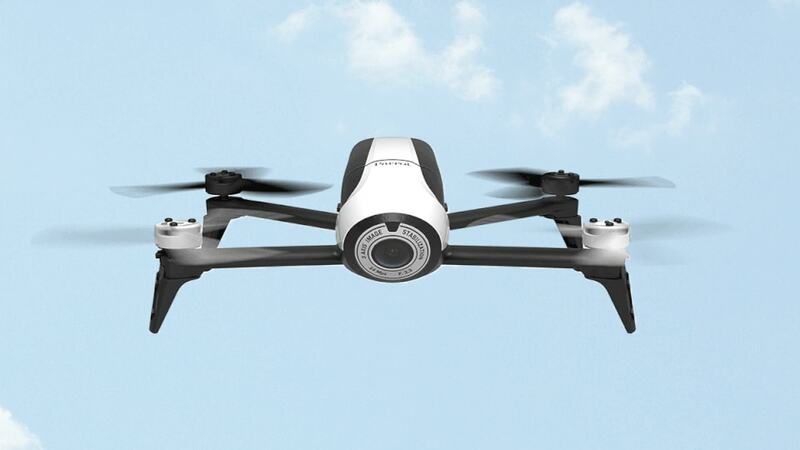 In fact, this may be the best drone with camera we’ve seen yet! 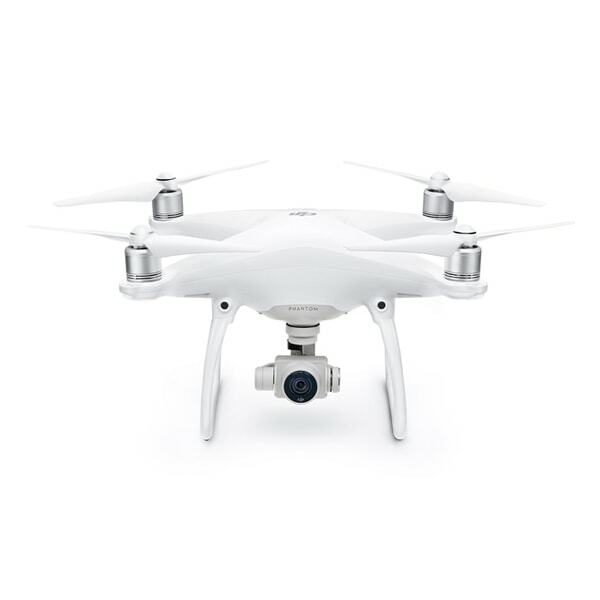 To accompany the stellar camera, the DJI Phantom 3 Professional utilizes a vision positioning system that promotes smooth flights. Another cool feature of the DJI Phantom 3 Professional is the Lightbridge digital streaming platform. This allows users to live stream 720p videos online while simultaneously recording and internally storing the full resolution video. This can be an awesome feature for active social media users and YouTubers. Finally, the compatible iOS and Android apps available for the DJI Phantom 3 Professional give users a live view from their drones and allow a user to control it from their smartphone or tablet. Unfortunately, like other models, the DJI Phantom 3 Professional is plagued with issues common with the new drone technology. The first issue is the drone’s price. Whether you purchase it with or without the accessory bundle, the DJI Phantom 3 Professional is very expensive, which could discourage consumers from buying it. Another issue is that the DJI Phantom 3 Professional comes with a mediocre battery life that lasts somewhere around 20 minutes on a single charge. Buying a spare battery for it will have you spending even more money for an already expensive device. Before you buy a drone — even a toy one if you plan to fly outside — you’ll want to visit AirMap or Mapbox to check no-fly zones for places you intend to fly. In the US, you can also download the FAA’s B4UFly app to check your planned location. U.S. civil penalties for not registering your drone may include fines up to $27,500. Criminal penalties may include fines up to $250,000 and/or imprisonment for up to three years. You don’t have to register each drone you own, but the registration cost is only $5 and can be done online in a matter of minutes. There’s no equivalent registration in the U.K. or Australia, but that might soon change. In a market flooded with best drone cameras, this roundup was especially intimidating. However, we’ve done extensive testing to ensure that this list offers options for both the elite and hobby flyers looking to expand their collection. Shopping in this vast market can be a challenge, and we hope that this compilation has helped make your decision easier. That being said, drone technology is still new and will require significantly more tuning and upgrading to reach its full potential, as well as to comply with laws for national security. Modern drones rarely exceed 30 minutes of use on a full charge, which extremely limits in their usage and can put immense pressure on the consumer. You can probably expect that the future models will possess more powerful batteries. The future of drones is bright and their potential is limitless. These drone cameras can and have inspired photographers and videographers due to their many advantages. Where to buy a drone with camera? Drone technology has come a long way, which means we’ve been able to pack more capabilities into smaller, less expensive packages. The best place to order a drone camera online is Amazon as you’re protected by Amazon’s return policy. They have one of the largest selections of drones and you can find yourself a good deal. How much is a drone with a camera? The price of camera drones has come down significantly since they were first released, ranging anywhere from $100 to $1,000+. Toy drones start at just $15, but they come without a camera. If you increase your budget towards $150, you will get a drone with a live video camera broadcasting on your smartphone via a free app. A higher priced drone will give you longer flight times and additional features. Cheap drones tend to fly for about 5-10 minutes before they need to be recharged. Drones with replaceable batteries can fly for a range of over 100m. Bigger drones, such as those mentioned above, can fly for around 20-25 minutes. But even the most expensive drones only fly for about 30 minutes.